Kareena Kapoor is the queen of unabashed honesty. She's strong, she's independent and she's never scared to speak her mind. But sometimes, just sometimes, she also tends to say things that are a little silly and borderline ridiculous. So when we chanced upon this old interview of hers on 'Rendezvous With Simi Garewal', the original chat show of India, we couldn't help but shake our heads at some of the hilarious things she said. 1. "I had to get into a short mini skirt and look in front of the mirror and say that. 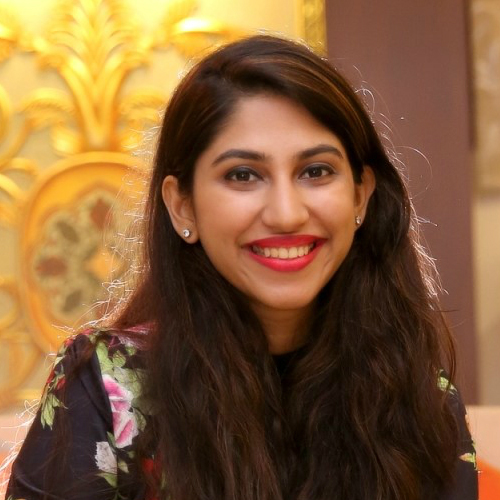 But to be honest, I've been saying that right from when I was a child"
When asked how she managed to deliver the iconic line in Kabhi Khushi Kabhie Gham - 'tumhe koi haq nahi banta ki tum itni khoobsurat lago. Not fair!'. Bebo was being her Queen B self right from the start! 2. "For me, life is a drama. For me, I'm a heroine on and off-screen. I'm always like that. Everything in life is like that." This is what she said when Simi asked her if she ever fantasized herself as a heroine. Looks like Bebo is behind the saying that attitude makes all the difference! 3. "This is just for the camera, when I meet him I'll be doing no such thing ..."
Right after she thanked Karan Johar for speaking sweetly about her in a video montage. Truth bombs...left right and centre! 4. "She's always firing me for being the spitfire that I am." Kareena was brutally honest when Simi asked her about how different she and Karisma were. 5. "If I may say so, I feel like a guy, I feel like a man. I can take up anything, I can take on anything. Any amount of pain." While talking about how she saw her mother and sister struggle to make it big and learnt a lot from them. Umm... irony and casual sexism, much? 6. "I went to a government law college, I sat on those desks and my family was very upset. They kept saying how can you do this. I was, you know, behaving like a normal girl. Then obviously I got bored of it, it required too much hard work. " 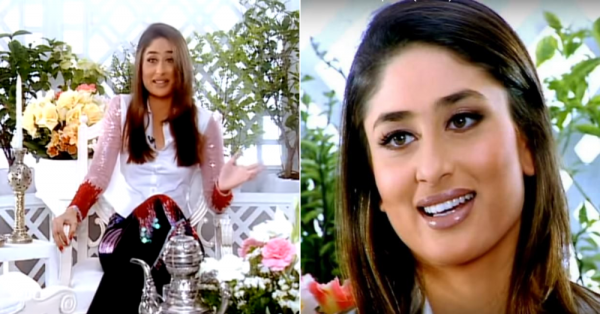 So, for context, Kareena had a phase where she wanted to be a lawyer and her biggest struggle was living like us mere commoners who attend government colleges. L-O-L! 7. "My mom's not gonna like that, but I do get a bit insecure." What's not to like in this admission? 8. "If somebody hurts me intentionally, I'd hit back. I'm that kind of a person. But if somebody hurt me unintentionally, I'd just cut them out of my life completely!" She legit scared Simi! Her expression was priceless! 9. "Honestly, Harvard was just like to have a good time and have a blast." Look at that privilege talking. I'd happily give away a limb to study at Harvard, forget the good times! 10. "Kapoor girl, no brain has gone to Harvard!" On how everyone reacted in her family about her going to Harvard. Can I say I'm shook? 11. "People who believe in pain and have a lot of pain know what reality is." 12. "If you're famous, you're bound to be spoken about!" 13. "I'm glad they're threatened by me because that means they'll work harder..."
... Kareena on her contemporaries. What a diva! 14. "I'd like to know what it would be like to have a conversation with him (Rahul Gandhi). I come from a family with a lineage of films and he comes from a family with a lineage of politics so maybe we'd make an interesting conversation." 15. "Why do you need a man, what for? I'm not giving this up for anything, definitely not for a man." This is the proudest I've been of Kareena, ever!